December 6th 2013 – this was the day that magic happened! Hair stylist Beckie Packham, make-up artist Victoria Chainey and professional photographer Amanda Duncan created a breathtaking moodboard of ideas for a stylised photoshoot. The wedding theme of 2013 was Great Gatsby so this was a sure fire trend to incorporate but with a fun and slightly Avant Garde twist and so ‘Naughty Ballroom’ was born! It was important to the girls that they had a real sized chick to better portray their work and somehow I ended up with the absolute privilege of being the model on which these fabulous ladies worked – I remember only too well how happy Beckie was that she finally got to get her hands into my locks! She created an absolutely superb ‘roll’ style up-do for Naughty Ballroom and Victoria did a smoky eye with long feather (yes, feather not feathered) lashes! 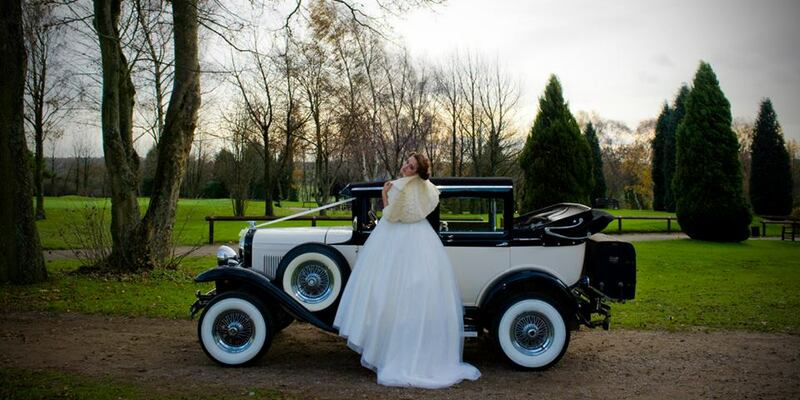 The gown was brought by Natasha from BRIDE and was part of her stunning Ellis collection and with a few extras by way of faux rabbit fur jacket, brooch bouquet from Brooch Bride and a stunning vintage car from Timeless Experience, we headed outside to start! 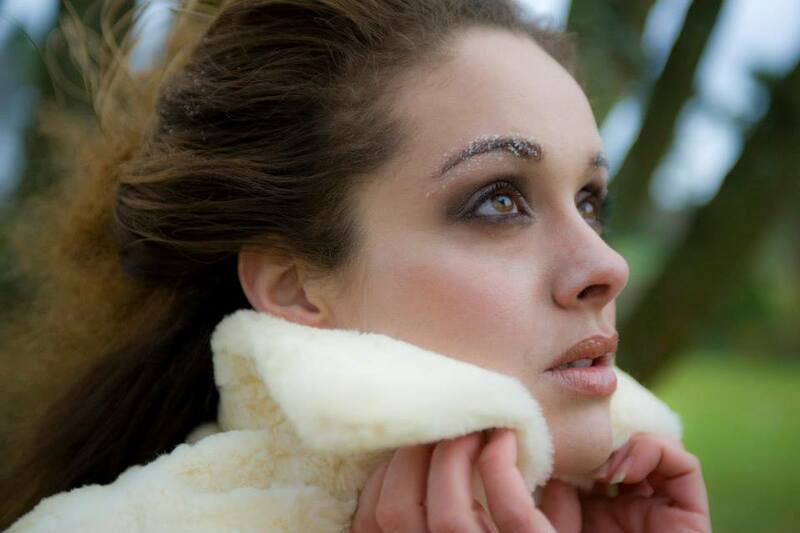 And yes, it was bloody freezing…. Firstly we began shots in and around the stunning vintage Badsworth (no I didn’t mount the car) and focused on the stunning grounds that Kingswood had to offer. Despite the bitter cold the evergreens are simply beautiful and the views over neighbouring Chipstead valley were to die for! I know it can be cliché but this group of women were just mind-blowing to work with and the enthusiasm and passion they have for their work and artistry was just so special to be a part of. 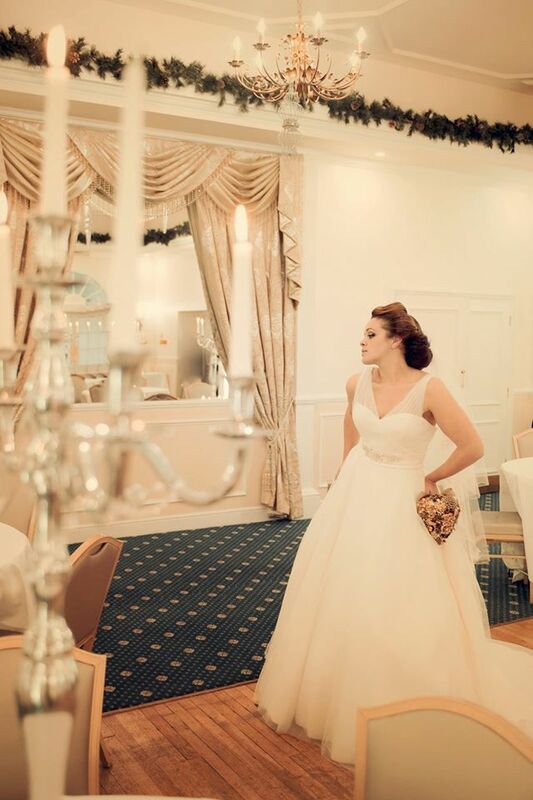 From there we all moved inside (put the kettle on) and continued with some very dramatic shots in the Ballroom of Kingswood Golf Club that perfectly fit the theme the girls had created. Dressed with candelabras from Events Avant Garde and wearing the most stylish meringue on my head that you’ve ever seen, I felt like I should’ve been strutting the streets of the Champs de Elysees drinking Moet et Chandon. I feel it only appropriate to point out this ‘meringue’ was actually a simple veil that Beckie-magic-hands-Packham whipped into something Marilyn M would have thrown atop her golden crown! The last phase of this epic shoot was a final ‘inelegant change’ (inelegant change dictionary def. = squeezing sausage into skin) in the most stunning gown of the day. Oyster in colour, this satin dream was ashamedly forced over my hips and arse by both Natasha and Amanda (I’m actually laughing remembering this moment) and I hobbled outside attempting not to breathe. We created lots of movement (somehow) with these images and the stunning steely appearance of the dress complimented the wintery backdrop. The flowers were designed by Sharon at A & S Flower Studio who really listened to the brief and gave us something extraordinary to work with! So there you have it. A 5ft 4inch size 14 bridal model come blogger – haha! I hope you enjoy the gallery and find all of these beautiful people at their websites listed below!